Well, here’s something that’ll make you happy every time you see it! 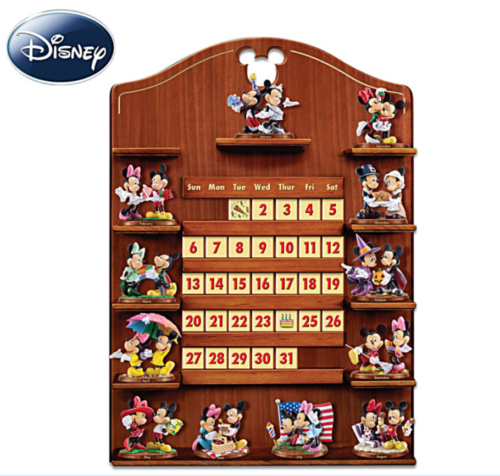 This Mickey and Minnie Perpetual Calendar will make you smile every day of the week! This calendar comes from Bradford in installments, so the first thing you’ll get are the Mickey and Minnie January and February figurines. Each month after, you’ll get a new set of two, and the wooden calendar with the interchangeable blocks. It’s like Christmas every month until your calendar is complete!